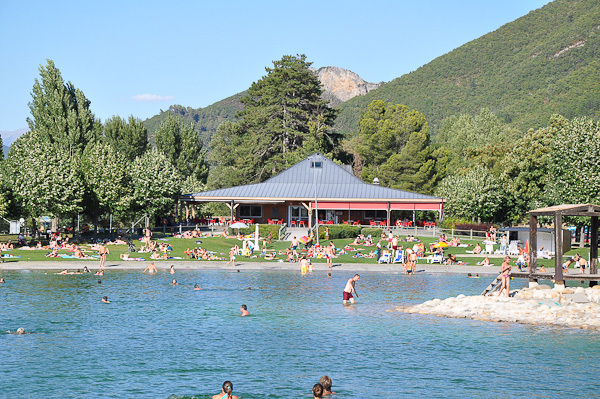 A number of artificial bathing lakes for fun and relaxation for all ages. Most offer, apart from supervized swimming, games for kids, pedalos, windsurfers, picnic areas or a restaurant. The quality of the water is monitored regularly. 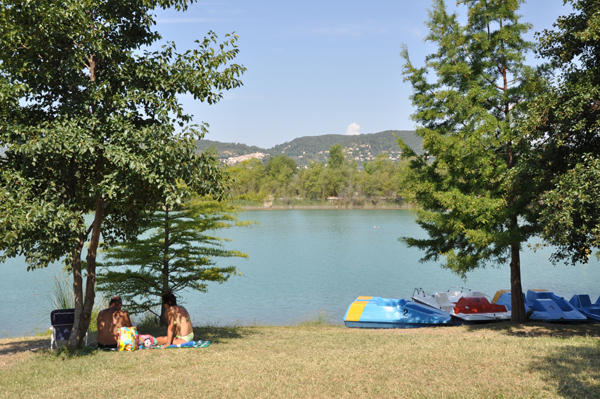 Walking trails or even a fishing lake are often to be found nearby and plantations give shady areas on the banks perfect for a « Provencal » siesta to the sound of the cicadas. A water leisure park on the banks of the Bléone river offering offers a number of activities for children: sailing on the lake, mini golf. The bathing lake of around one hectare, surrounded by grass and a beach with deck-chairs for hire, is ideal for swimming and a rest. Not far away, there is a fishing lake for keen fishermen. Only for bathing, this 5 000 m2 lake, five minutes from the town centre, has a games area with a mini golf, a skate park and a fitness trail. Three little lakes on a surface area of 18 ha for swimming or fishing and the ideal place to walk along a botany tral showing the plant varieties which grow near water. 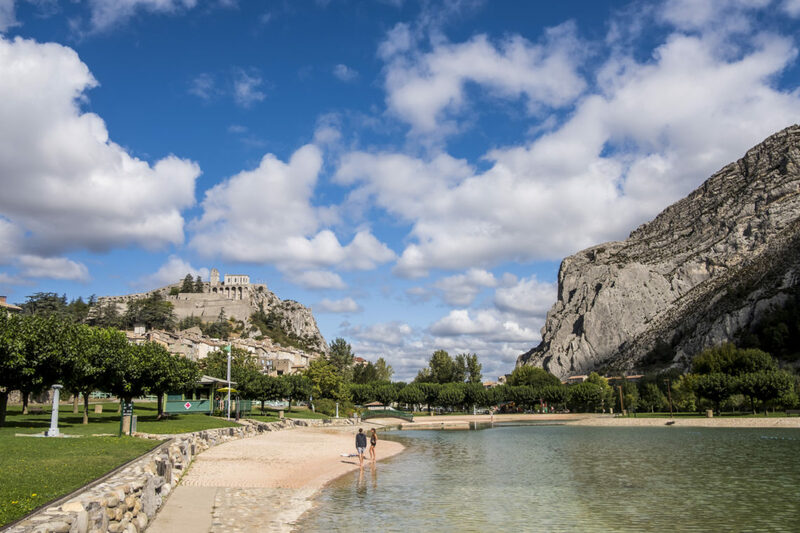 Just a few kilometres from the historical centre, les Vannades offers all the activities of a family bathing lake: picnic area, nature walks and trails, mini golf, badmington, petanque and a children’s playground. Swimming is supervized and there is access for invalids. In a lush green setting at an altitude of 1 400 m, this 15 000 m2 bathing lake has a water toboggan, games for children, archery with an instructor, mini golf, pedalo, trampoline and tennis courts. The little extra: day care centre for children from 6 months to 4. 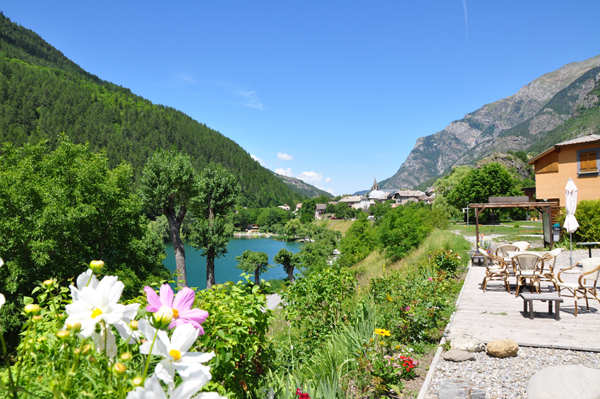 Charming advantage of the little village of Le Lauzet-Ubaye, the lac du Lauzet is set in lush green surroundings at the foot of the mountain. The trees and peaks around are reflected in the clear, transparent water, a breath-taking sight. A good place to swim with a refreshment area on the equipped and supervized beach in July and August, it is also very popular for family fishing and kayaking and pedalos.